Cast Aluminium construction provides full Gas assisted free flow movement. 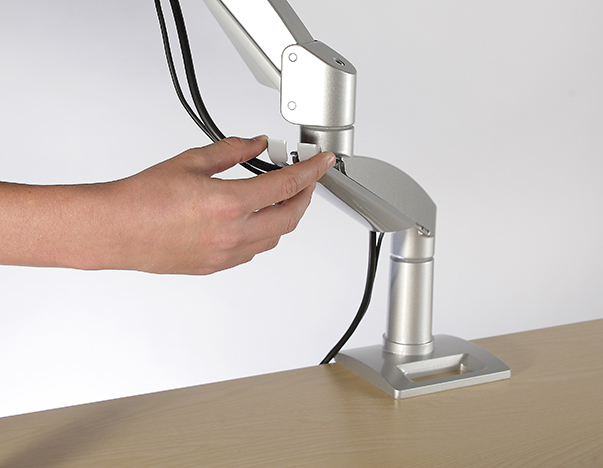 Tension adjustment allows movement resistance and varying monitor weights up to 8KG. Quick release VESA plates (75 and 100mm) as standard.